In 1963, when ex-Chrysler design chief Virgil Exner was commissioned by Esquire magazine to pen so-called “revival cars,” each interpreting vintage brands and their signature cues into a then-modern design. The Mercer, essentially a heavily re-skinned 289 cu. in. 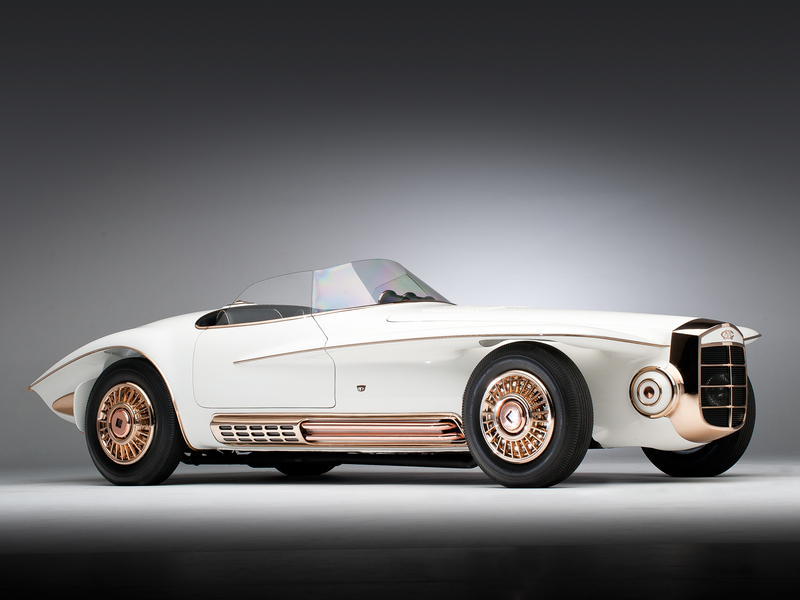 V-8, four-speed manual Shelby Cobra 289 built by Turin coachbuilder Sibona-Basano, was one of four originally drafted, but the only one selected by the American Copper Development Association to serve as a showcase for its wares. As a result, it hired Exner and essentially provided that it was chock full of brass and copper. While the bodywork isn’t crafted from copper or brass, the vast majority of interior and exterior trim certainly is. Copper is used from everything from the radiator shell, exhaust guards, wheels, inner door panel trim, even the disc brakes were crafted from copper, as the ACDA believed the material’s “superior thermal conductivity” helped reduce fading.